Deer are foraging creatures that will taste any vegetation to select safe food items. A flower bed is an easy target for the wild animal. Protect your investment of time, labor and funds by using one of several methods to keep the deer out of flower beds without causing them harm. Find a budget-friendly way to surround and secure the flowering plants and shrubs. 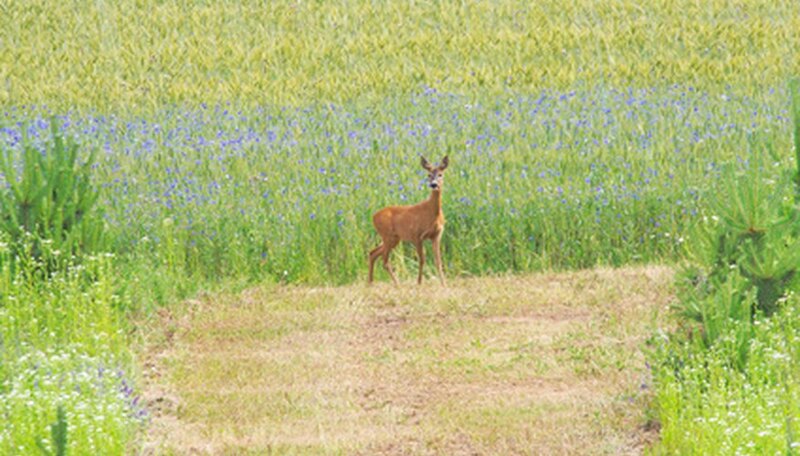 Choose from fencing, select plants, a family pet or repellents to drive the deer from the property. 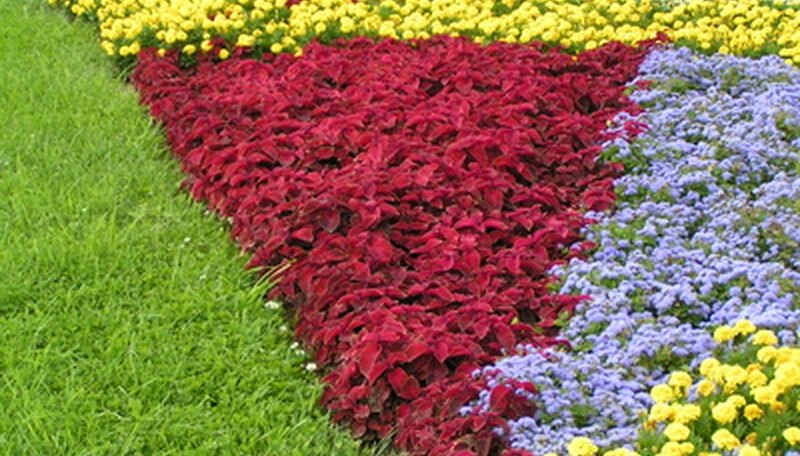 Plant deer-resistant plants around the perimeter and in the midst of the flower beds or growing containers. Flowering plants such as alyssum, candy tuft, California poppy, lupine, rosemary, sage, foxglove and thorny plants have elements that taste bitter or have an odor or texture that deer do not like. Be aware that young deer might chew and spit out these plants until they are able to recognize that they don't like them. Search for organic commercial deer repellents that are spread or sprayed in the flower beds as a deterrent. Study the packaging instructions to be sure that animal life, edible plants and pets are safe if they come in contact with the repellents. It is possible to spread fermented salmon fertilizer to drive deer away, but be aware that it can attract bears if they are in your area. 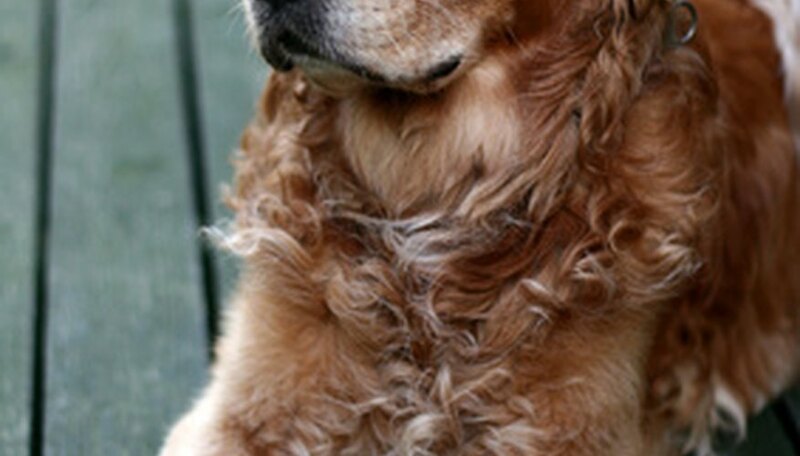 Hook a reliable watch dog out at different times during the night and very early morning hours. A dog will frighten deer and other garden predators away. Put fencing around the property or gardens. 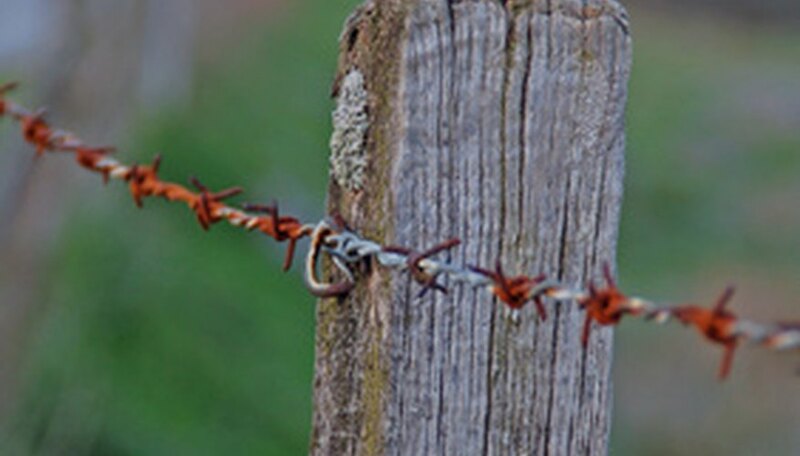 Choose fencing that looks attractive, blends with the landscape or a doubled wire fence. Deer are leery of entering an area that is surrounded with doubled wire because they fear getting trapped. Deer will feed on flower beds and gardens because they are hungry. Be aware of the conditions in the local forest. Prepare the property before the deer start to visit. Poisons are dangerous to the environment and are not a humane way to keep deer from gardens and flower beds.